I was pretty skeptical when I first heard the news that Geek & Sundry would be running a Tabletop Roleplaying Game Let's Play with Wil Wheaton as the Game Master. I wasn't skeptical that Geek & Sundry would actually produce the show, rather I was skeptical that it would work as a piece of entertainment. I've been a fan of playing RPGs since I was ten years old, but I've learned one thing from standing around watching RPGA sessions at various conventions. With the exception of the fictional world of the Gold web series, where roleplaying games are a spectator sport, it isn't often fun to watch other people play them. There are so many ways that the spectator experience can be fouled. The Game Master might not be willing to engage in theatrics. The Game Master may be bad at theatrics...although that can have its own short term entertainment value. The medium isn't very visual on its own and requires participants to fill in the "spectacle" of the tale. The players may not be evocative in their explanations of what their characters are doing. The game play might get caught up in the spiral of discussing things that aren't at all game related, and thus turn the experience into merely watching a conversation about which version of Highlander 2 is worth watching. It's one thing for a roleplaying game session to be fun for the participants, which it can be with all the above failures, it's quite another for it to be fun to watch. David Nett and his friends did a great job of creating an entertaining to watch roleplaying game experience with their second season of Gold entitled Night of the Zombie King, but they did so in an entirely scripted format where the roleplaying game session was merely the setting for a host of dramatic tensions. Being scripted, the session is also heavily edited and time compressed. The question is whether the entertainment value of a well-written and well acted "scripted simulation" of a roleplaying session can be recreated in a real gaming session where things are much looser. 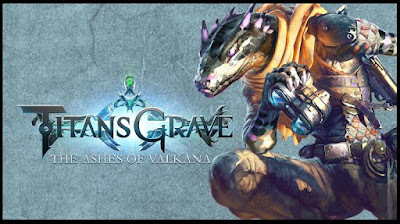 If the first episode of TitansGrave: Ashes of Valkana is any indication, the answer is yes. I won't say that it is a "resounding yes," for reasons I'll articulate as the review goes along, but I will say that Geek & Sundry did manage to create an entertaining viewing experience. Before I comment on what I believe the show has done wrong, let me begin by praising what it got correct. A lot of work went into producing this web series, and it shows. Wil Wheaton has recruited a number of actors, of the tradition and voice varieties, to play the game with him. Before you assume that the "recruiting of actors" means the "recruiting of non-gamers/non-geeks," let me cue you in on a little secret. D&D is the secret language of Hollywood. There is an entire community of rpg geeks in tinseltown, and while not everyone games a lot do. The show has also selected a game system, the AGE system from Green Ronin, that has a lot of improvisational narrative potential. All roleplaying games have at their root the potential for improvisational narrative, it is after all what really defines a roleplaying game, but given the tactical wargame roots of the hobby the game can sometimes descend into a series of "I roll a 13, I do 5 damage, You roll a 15, I take 3 damage" comments that are mindnumbing to watch. Roleplaying is best watched when "roles" are being "played" and that means that actions are being described rather than mere die rolls. AGE's "stunt point" system aids in making combat sequences more narrative, rather than quantitative, by mechanically encouraging players to create descriptions of their actions in return for benefits. Players respond to incentives, and if you incentivize narrative descriptions you tend to get more of them. The show hired adventure writers from the game industry who worked with Wil Wheaton to bring about his world. It's one thing to hire talented writers, but it is another thing to hire people who can take a story and translate it into a game experience. Experienced adventure writers have a knack for it. It takes more than breaking a story down beat by beat and then creating stats to gamify a story. It takes an intuition regarding how players will respond to circumstances. You also need to be able to create a small enough segment of a story that it can be played (after being edited) in less than an hour and still have narrative movement. This includes taking into account the delay that mechanics will cause as actions are resolved. What separates roleplaying games from mere improvisational theater is the fact that actions are arbitrated by mechanics. This is something that not only is at the core of what makes roleplaying games "games," but is a key to ensuring that all players get an equal chance to participate/succeed. Hiring Wes Otis for the sound effects and musical loops was wise. Otis has done good work as a sound professional, but he has also made some great effects for home play. The show is well edited, which cuts down on the digressions that players are prone to making, and has incorporated sound effects and some minor animations to increase the visual appeal. The editing is key for this show, and they seem to know it. They have edited out the distracting digressions, while leaving some of the more entertaining ones in, which gives the session a nice play flow. The cast does a good job of staying interesting without trying too hard. One of my person peeves when watching some episodes of Tabletop is that the players often seem to be trying too hard to entertain. They seem to have the sense that watching a board game isn't exciting in and of itself, and thus feel the need to spice it up. 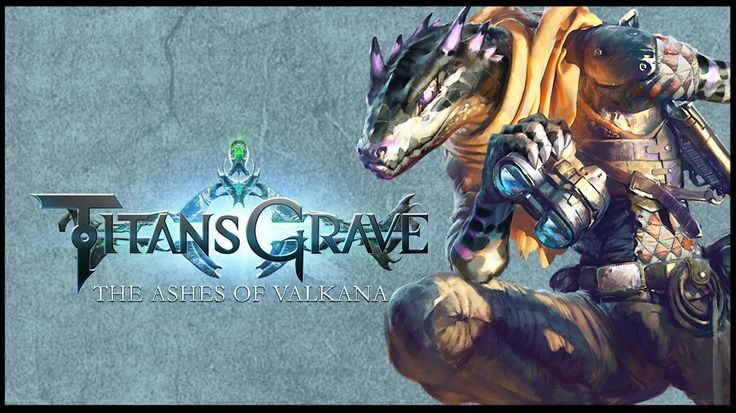 Wil Wheaton, Hank Green, Laura Bailey, Yuri Lowenthal, and Alison Haislip may be doing that a little in TitansGrave, but it is indistinguishable from the normal one-upsmanship I've witnessed in my playing experience. This show is not made for a wide audience. It's hard to tell if the show is meant to only appeal to those who are already gaming, or whether it is also meant to bring more people in. I say that because the first episode already has a couple of inside jokes that might appeal to long time gamers, but which will be missed by new viewers. Additionally, the first story is "age confined" in that they had to bleep out profanity and that it's about drinking. This isn't a bad thing per se, and I found it quite entertaining, but it does limit your viewing audience. Lack of use of voice actor talent. C'mon people! Let's get crazy! We've got funny people here, but they seem to be holding back a little in combat. This could partially be because they are still learning the AGE system, and don't feel comfortable with it, but I want more verbal sound effects from the players. Laura Bailey and Yuri Lowenthal are trending in this direction, but I want more as a viewer. You really can't "commit" too much for me. Think about it like a comedic role. You have to be willing to fully commit to the joke/process. That doesn't mean go over the top, but it does mean you have to immerse yourself in the play and lose the wall of "I'm being judged." The show hasn't quite captured a way to make the depiction of combat visually interesting. I both like and dislike the battle display they are doing. I like that they aren't showing miniatures on the table, which can be good are bad for spectators, allowing the actors to free form act rather than move game pieces. What isn't working for me is how static the display is. If you are going to present a graphic virtual tabletop, have the images move about on the hologrid you've presented. I also noticed that Wil Wheaton began to fall into the "I roll an x and do y damage" drone. It's hard not to, and Wheaton was great most of the time, but it's something he'll need to fight. The show isn't perfect, but it did entertain me. We'll see how the season progresses. One thing is certain, I will keep watching. I will also be buying the tabletop campaign supplement as soon as Green Ronin releases it.